A hotel room must be a little comfortable paradise. 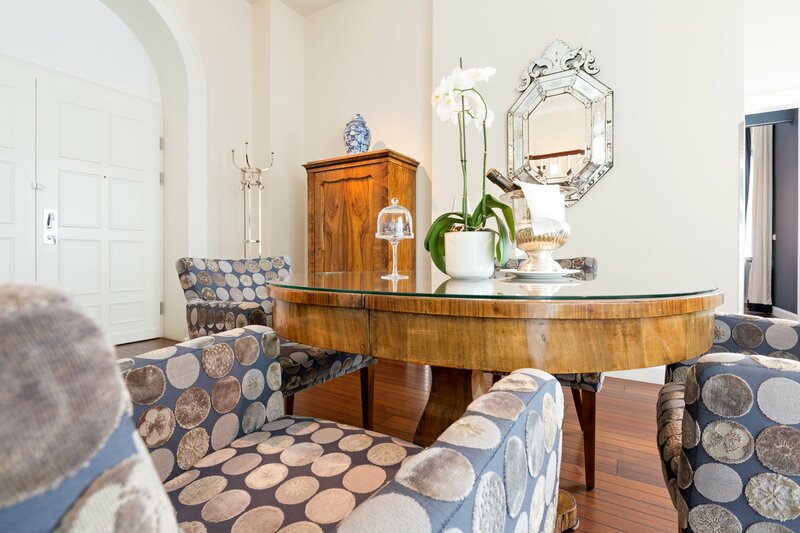 Our 74 rooms and suites combine the architecture of the turn of the century with contemporary comfort. 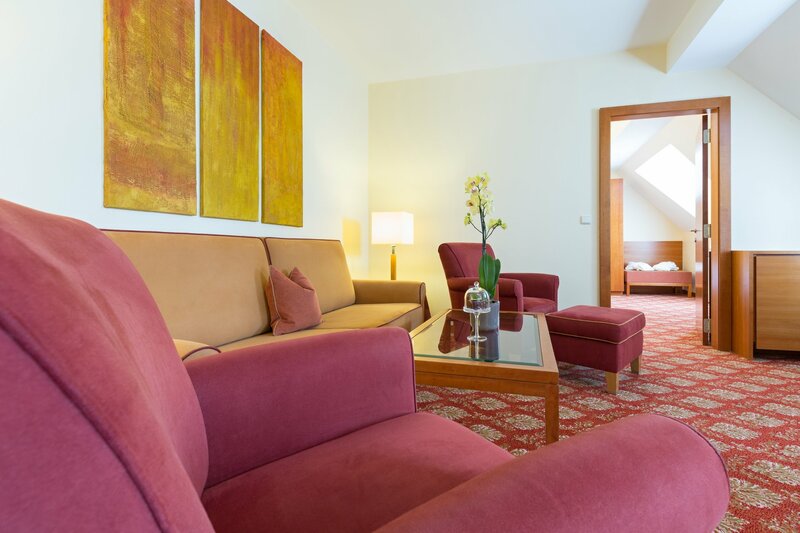 Naturally, all rooms are equipped with air conditioning and free wireless Internet. 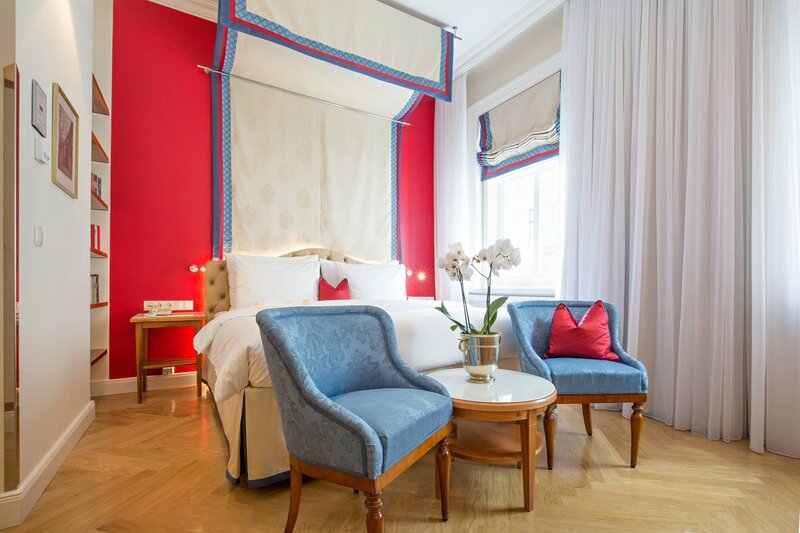 The mattresses, specifically crafted for the Kaiserhof Vienna, allow for a pleasant and re-energising night. The exquisite bedding is made from precious Egyptian cotton. The adjustable slatted base and our special Kaiserhof pillows will make for an imperially good night. Vienna offers its guests and residents excellent drinking water from the Styrian-Lower Austrian Alps region. 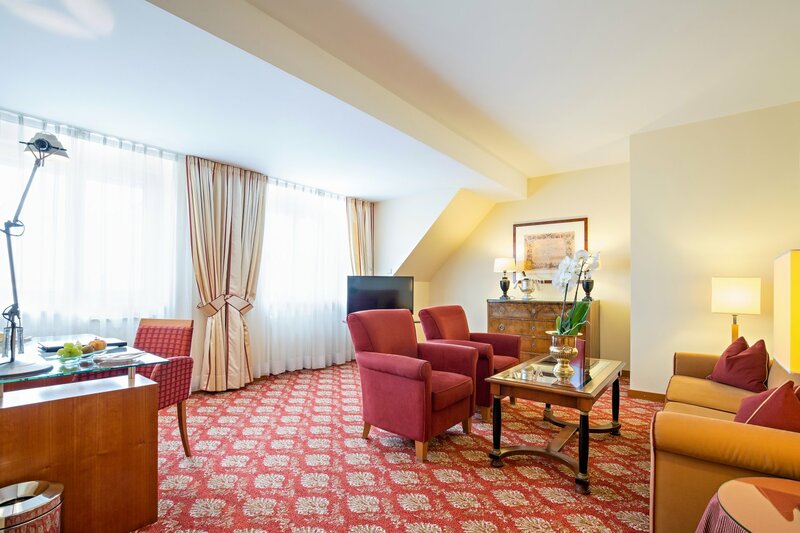 At the Kaiserhof Wien we offer a little bit more than this - especially for our guests at the hotel, we do offer energetic and revitalised water by GRANDER. Kaiserhof Wien runs as a non smoking hotel. 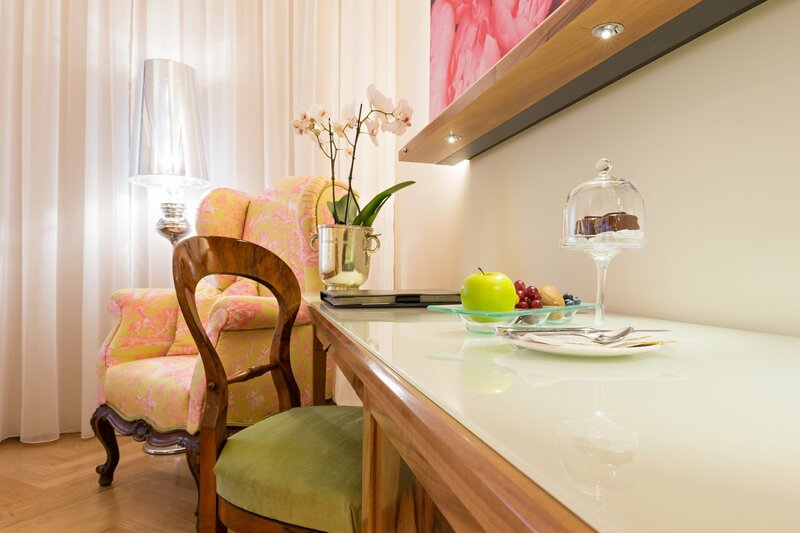 Book your stay directly on our website and receive always the best price and the best conditions. 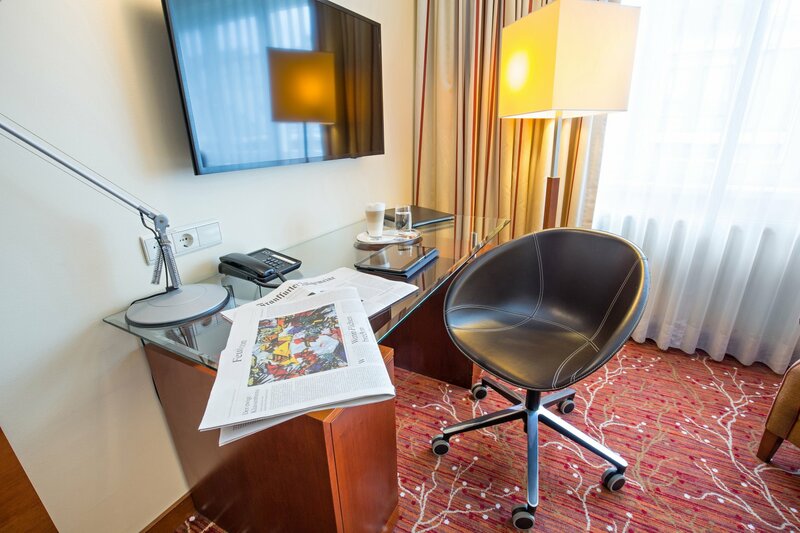 And as a way to say thank you for booking directly with us, you receive our little booking bonus: a one-time discount of 10% on the entire consumption in the Kaiserhof bar, a bottle of Frizzante waiting for you in your room, or the Kaiserhof Cube, a sweet temptation.